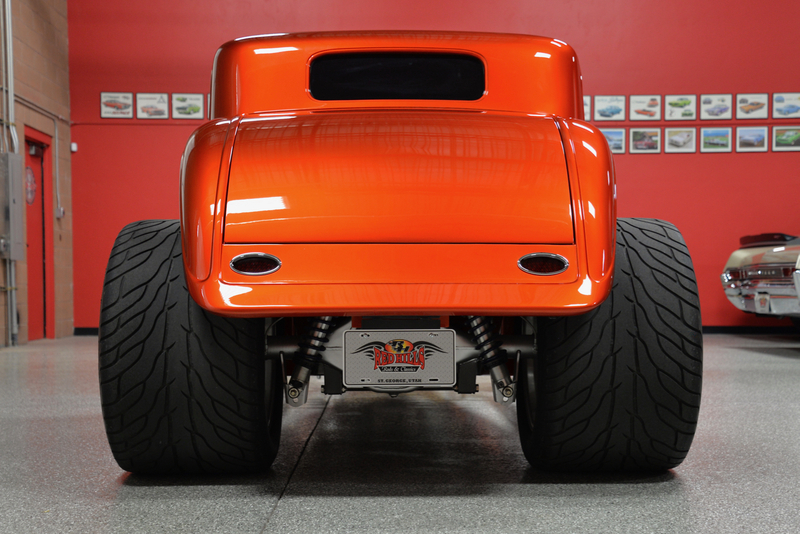 Attention MOPAR fanatics & avid Hot Rod enthusiasts, have you been searching for an extremely high-end one-of-a-kind Street Rod but are sick & tired of seeing only Fords, Fords & more Fords? 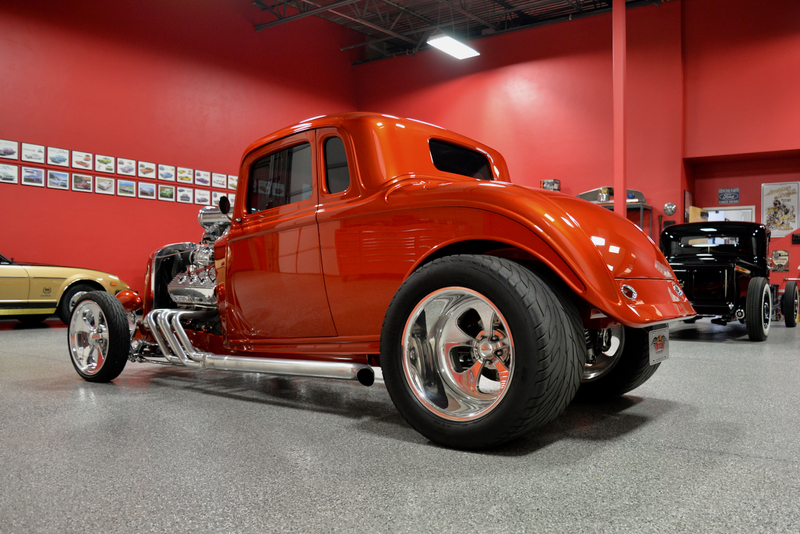 ‘Red Hills Rods & Classics’ is very proud to offer you this absolutely ‘mind-blowing’ 1934 Plymouth 5-Window Blown Coupe! 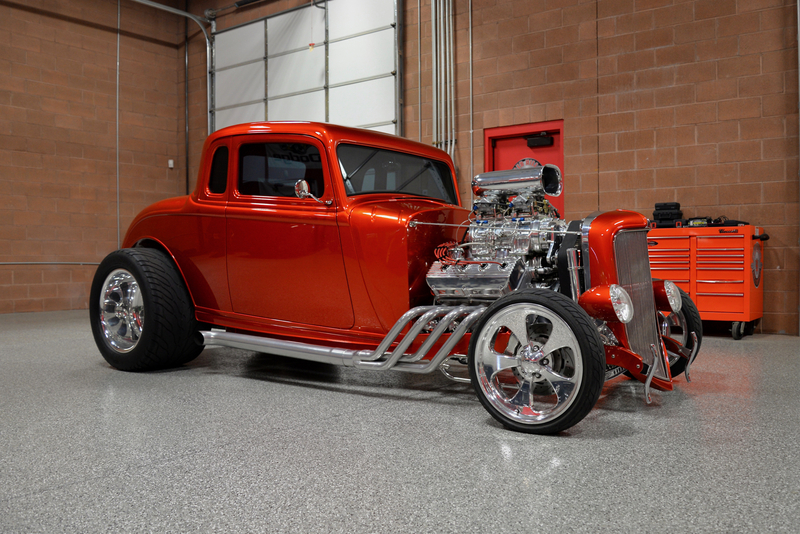 This hand-built all-steel masterpiece was built by Tom’s Classy Customs in Idaho Falls, Idaho, w/ the idea to build the ultimate Mopar Hot Rod. 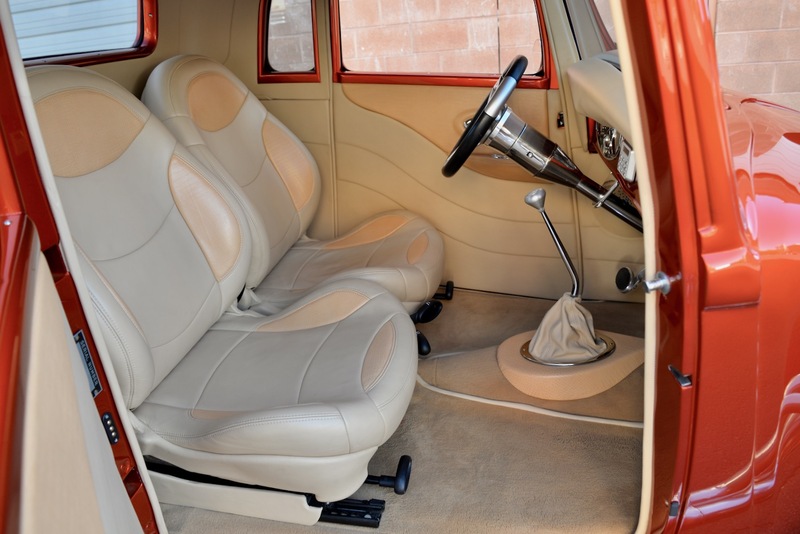 I can safely say that they hit it out of the park in every way! 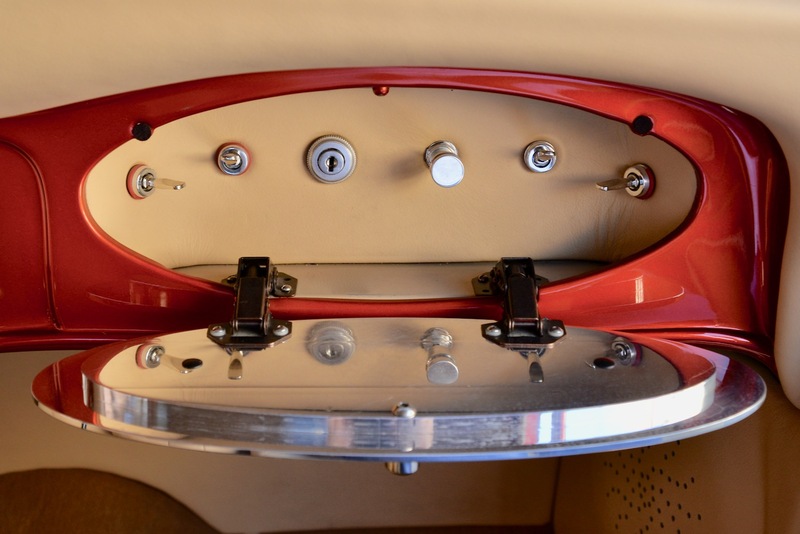 The original all-steel ’34 Plymouth 5-Window Coupe body was in excellent condition to start with, and then underwent extensive modifications including: 13” tubbed rear end, filled roof, shaved door handles & hinges, smooth-out firewall & side panels, shaved drip wells, etc. 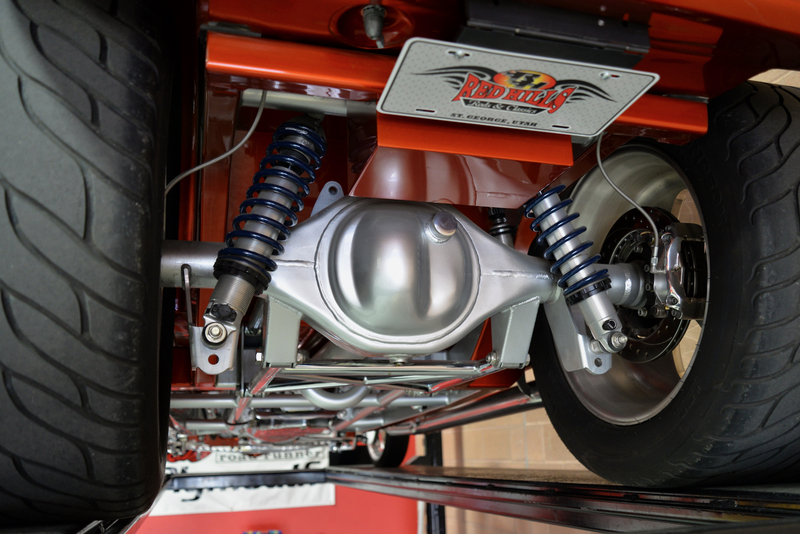 The headlights are from a Harley Davidson V-Rod and the taillights are from Billet Specialties. 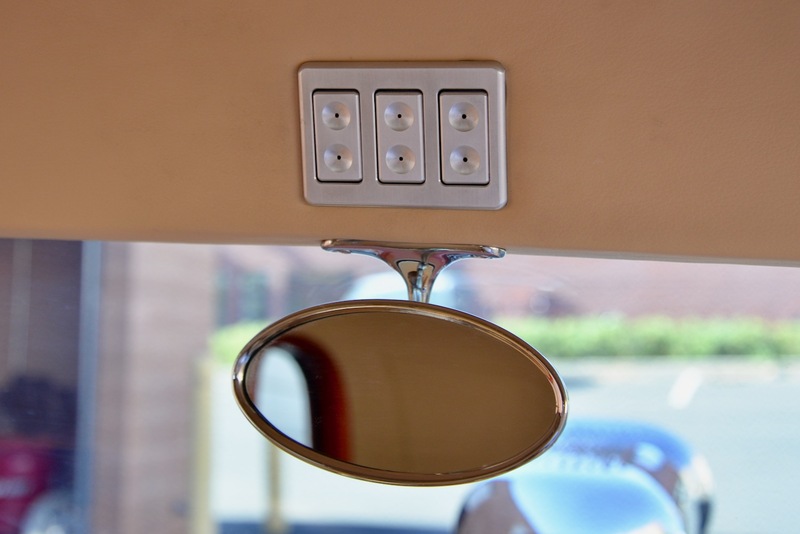 Countless man-hours were spent making sure that all of the panels are laser straight, lined up perfectly w/ precise gaps throughout. 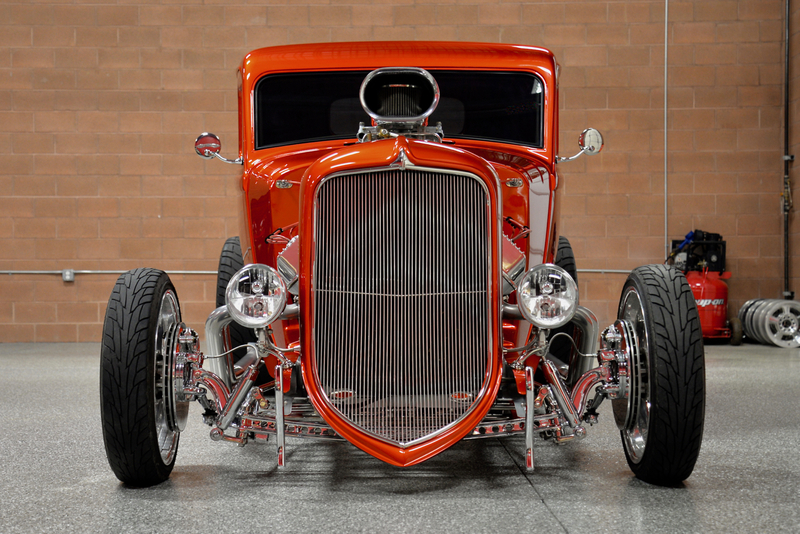 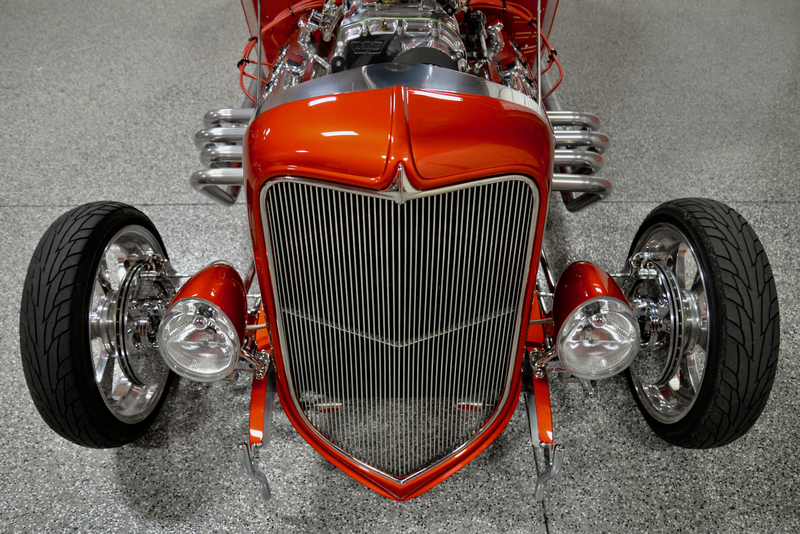 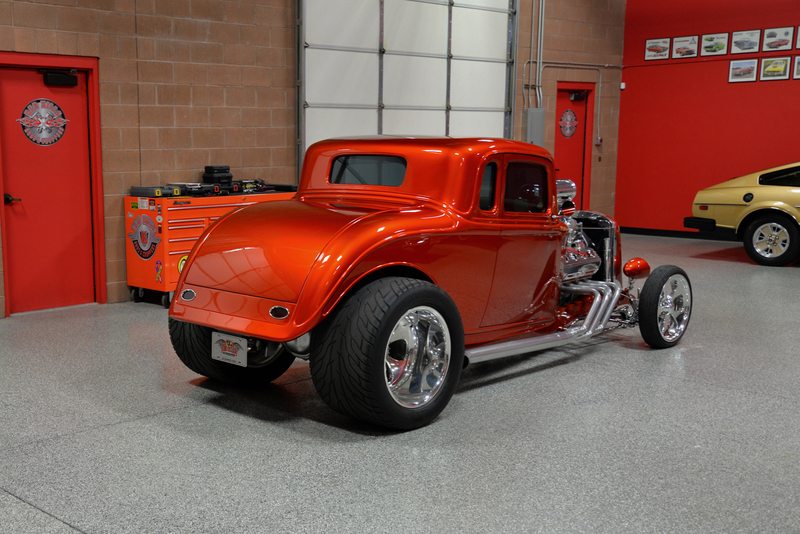 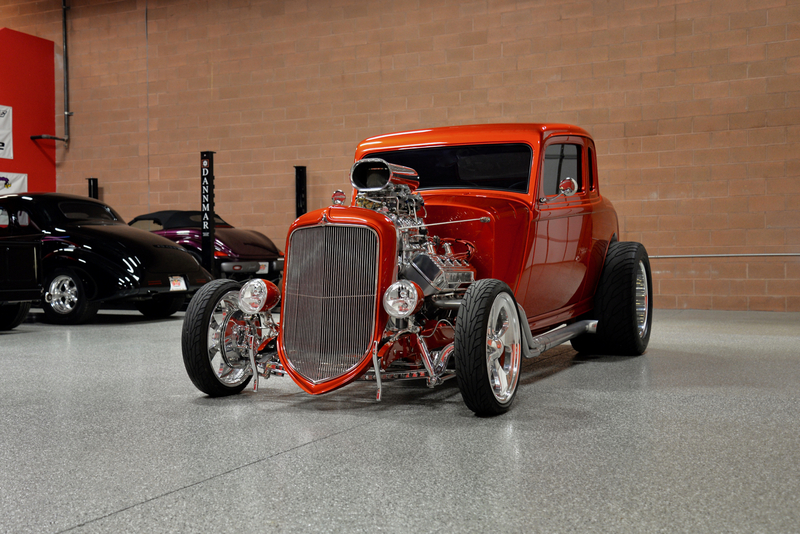 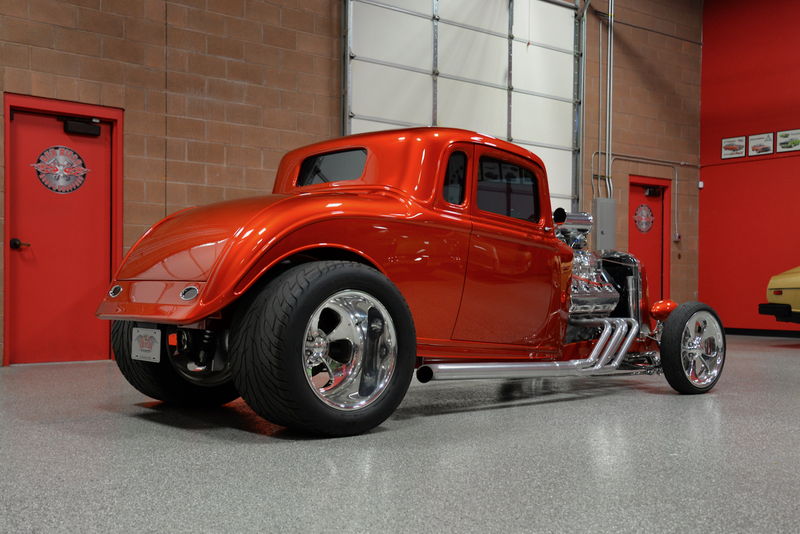 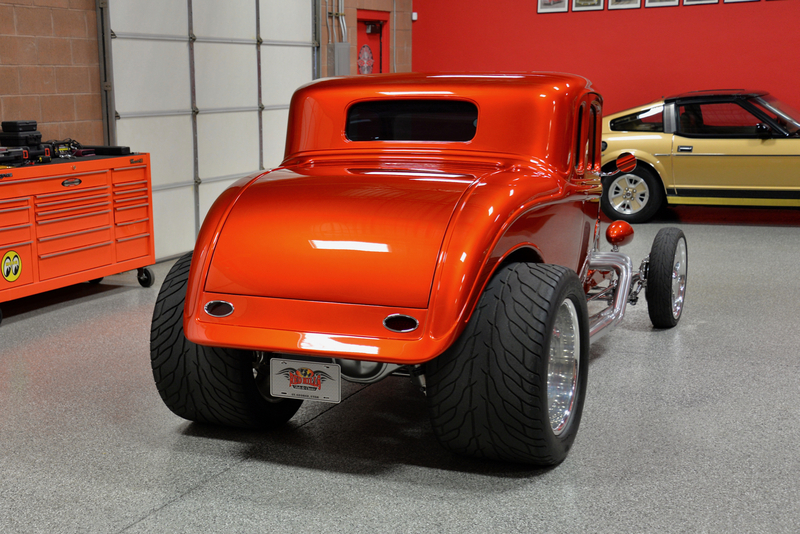 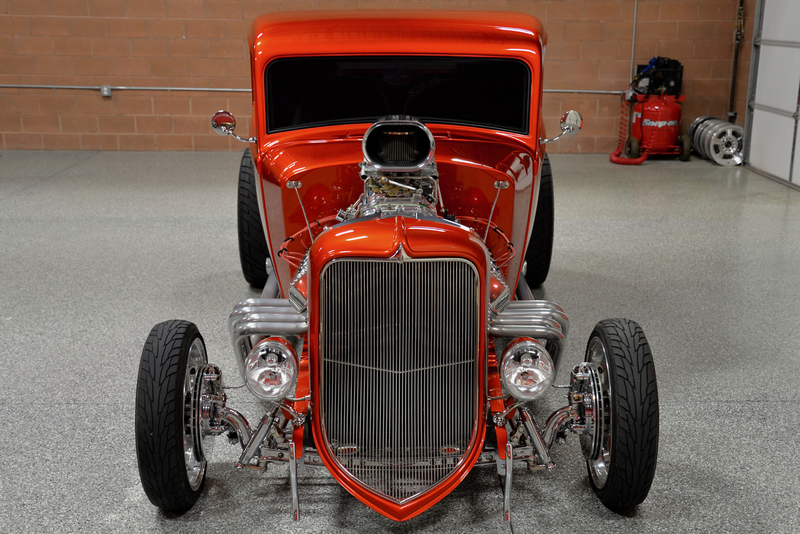 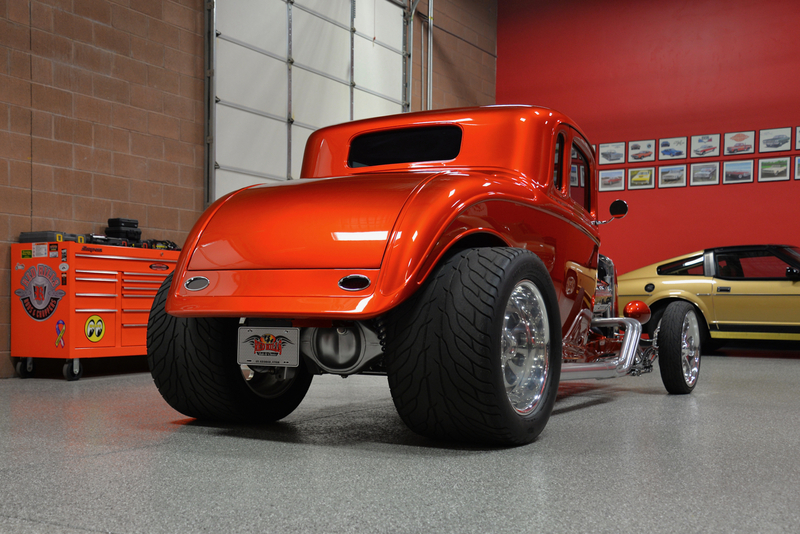 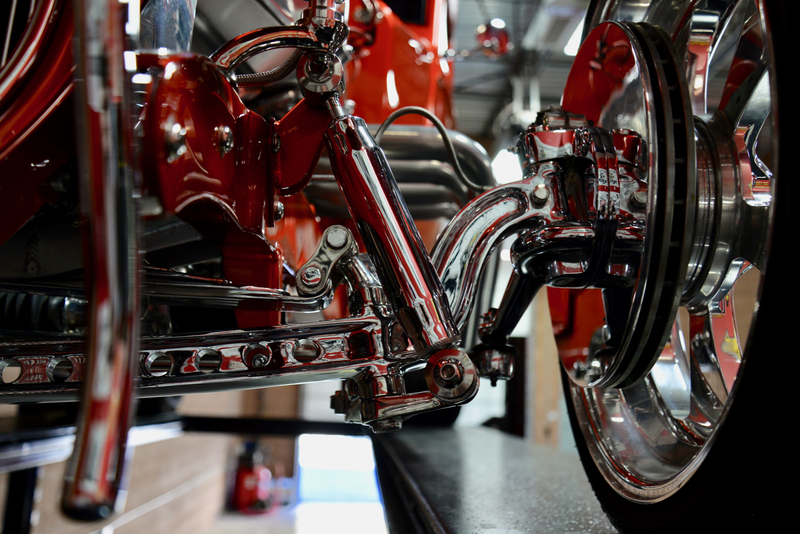 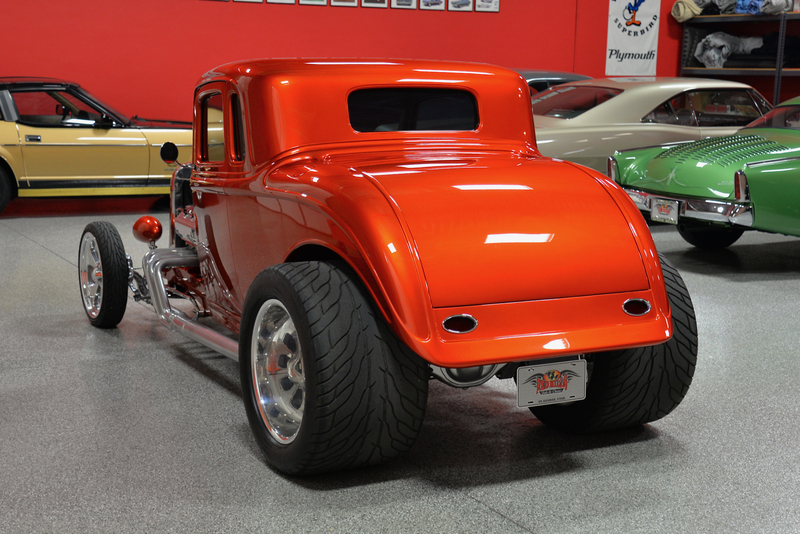 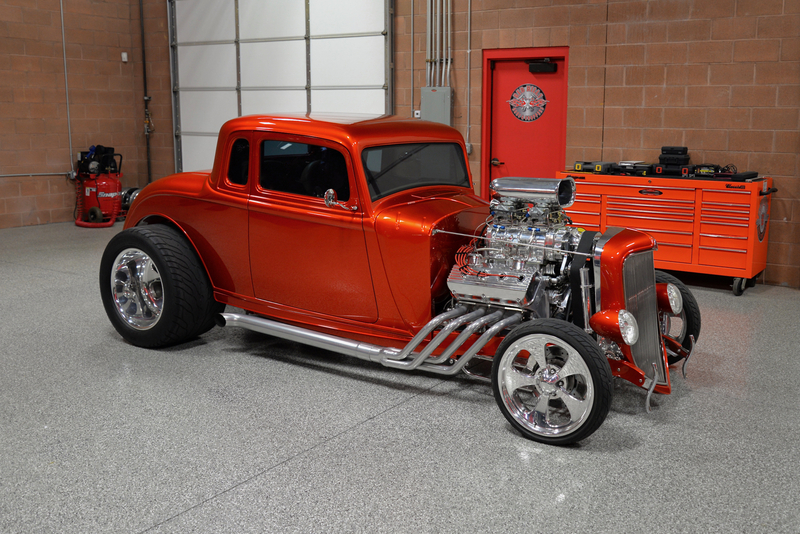 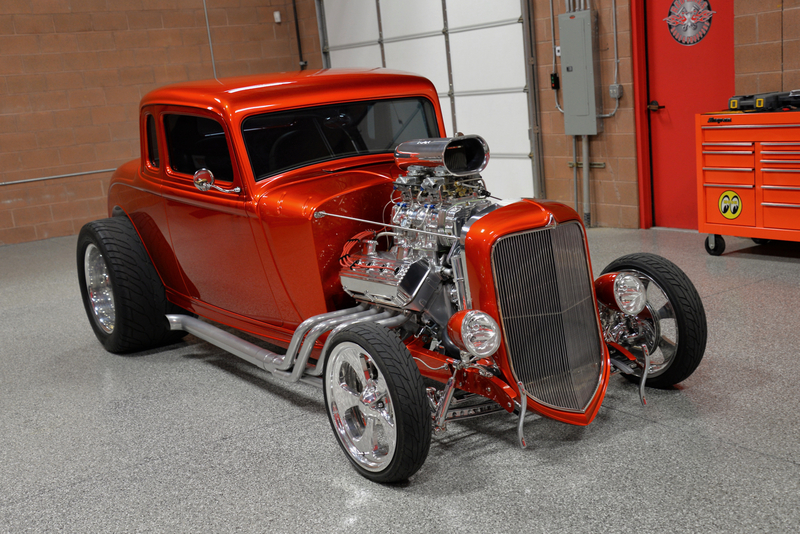 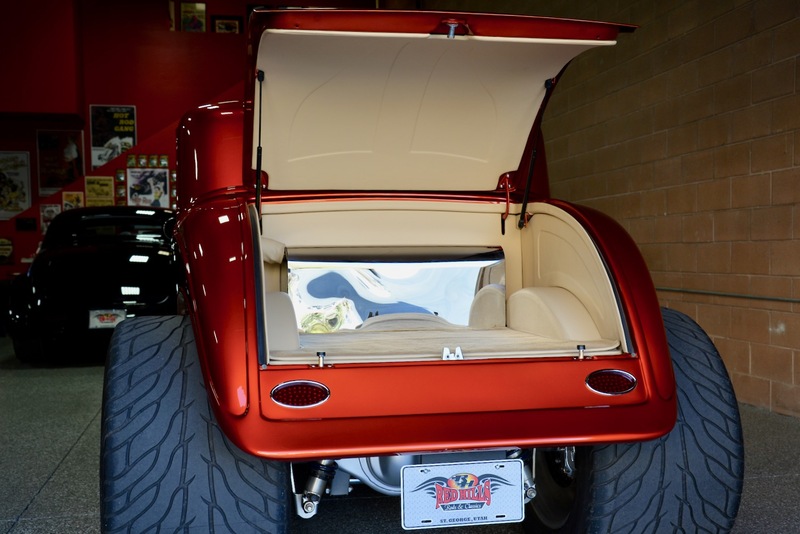 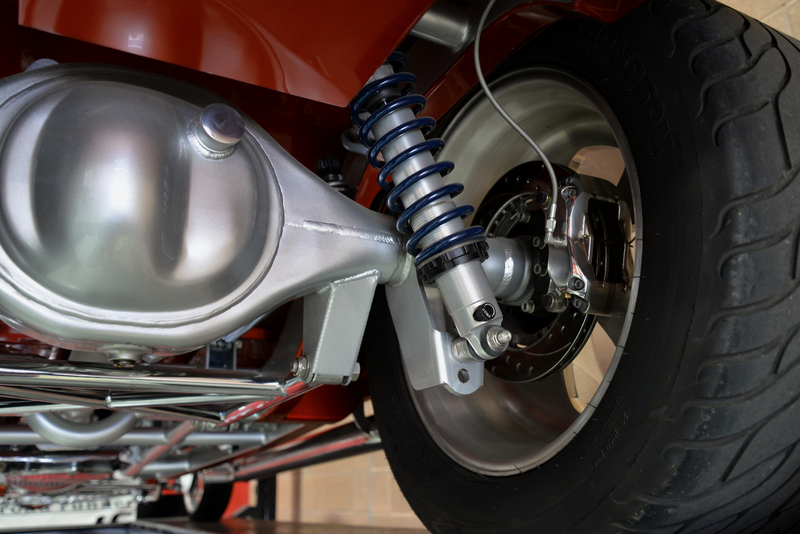 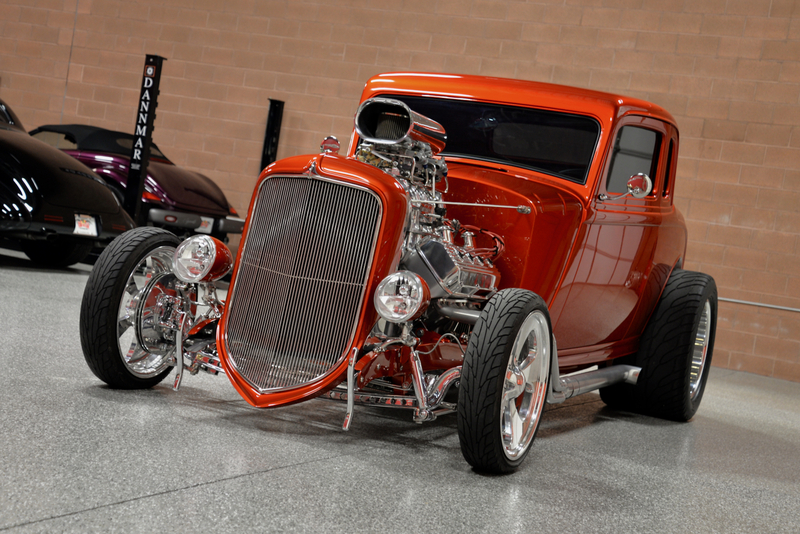 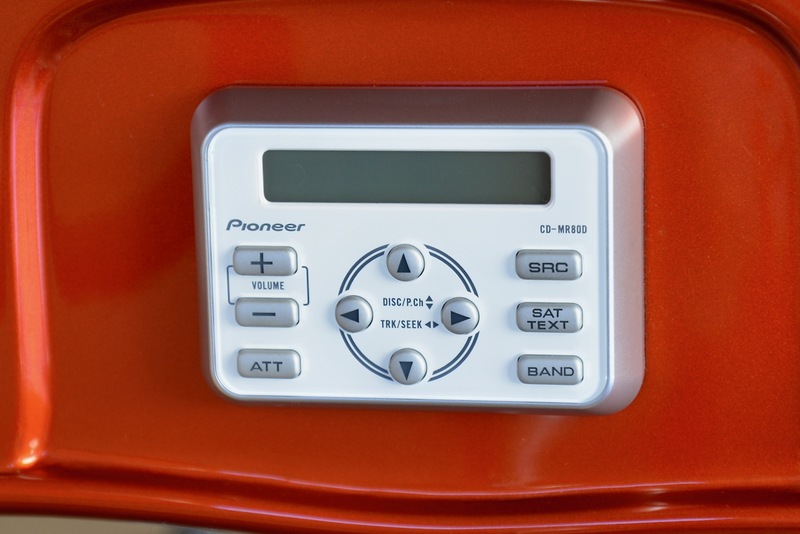 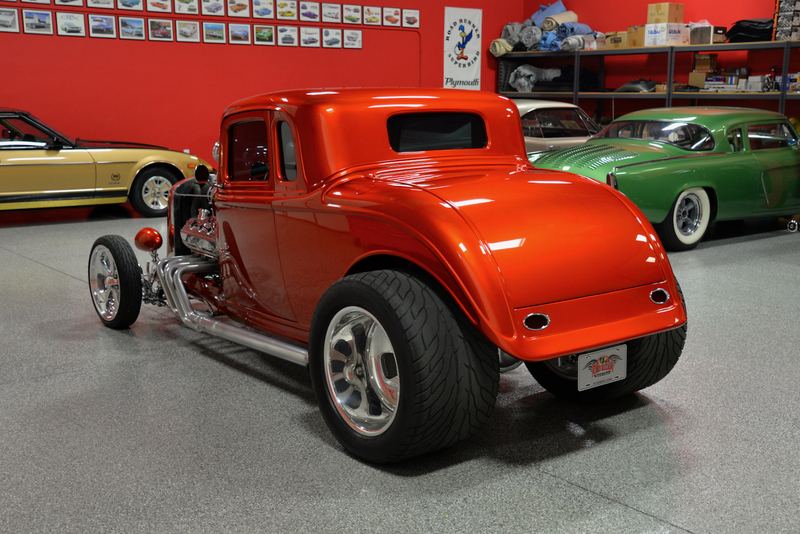 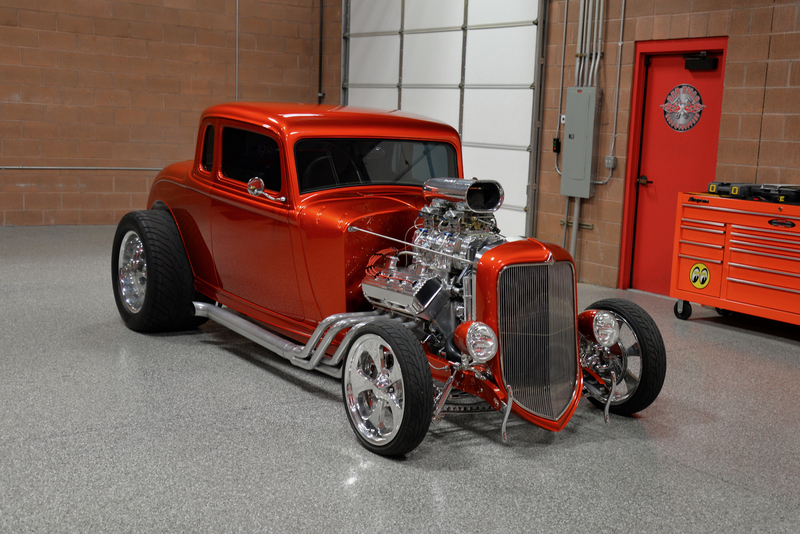 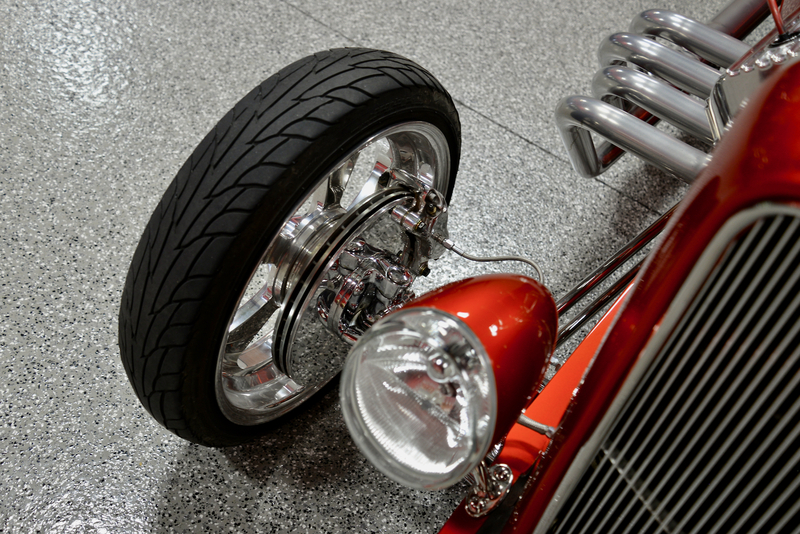 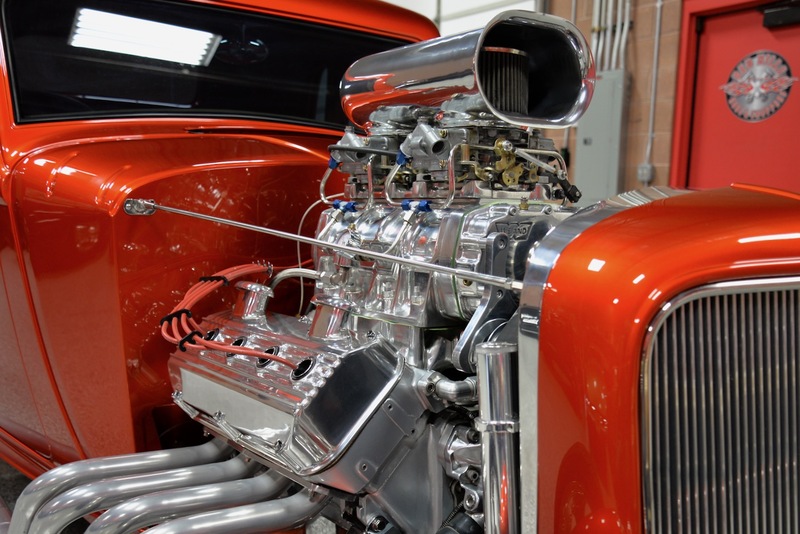 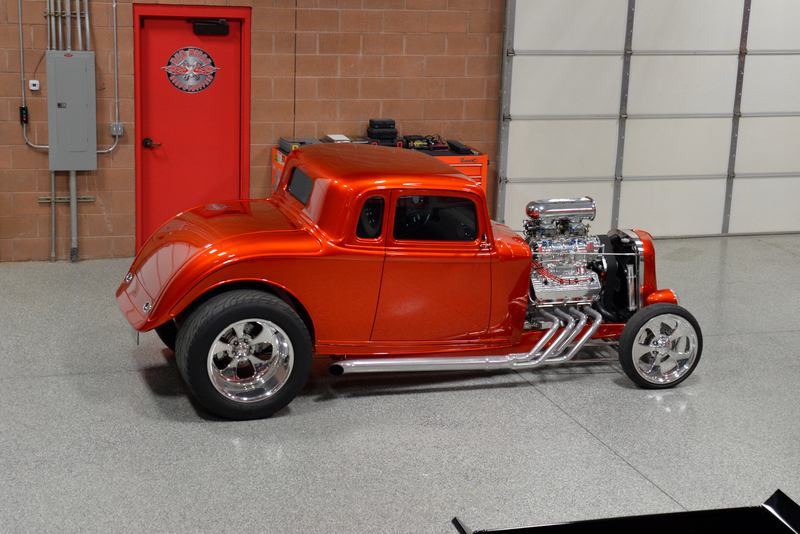 The choice for paint was Dupont Hot Hues ‘Molten Orange’, which is one of the prettiest colors that I have ever seen on a Hot Rod, including 14 coats of clear coat on top. 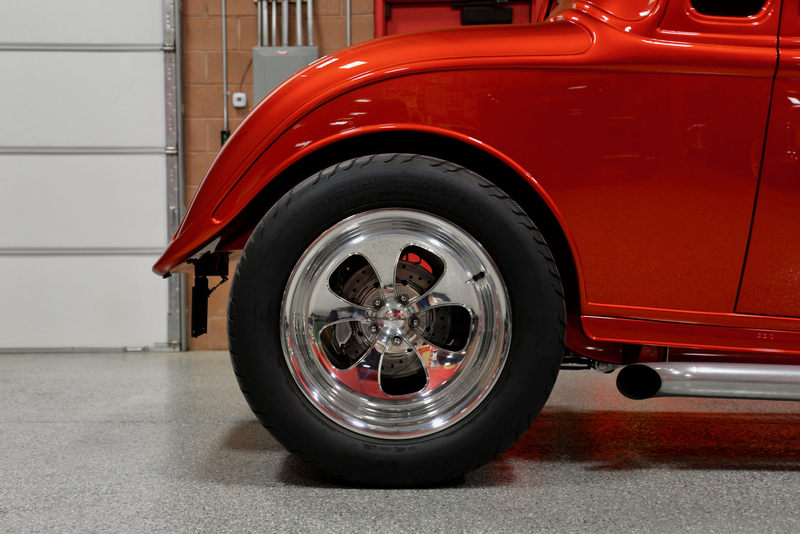 The paint appears to be a mile-deep w/ a rich lustrous shine and sparkle that seems to go on forever. 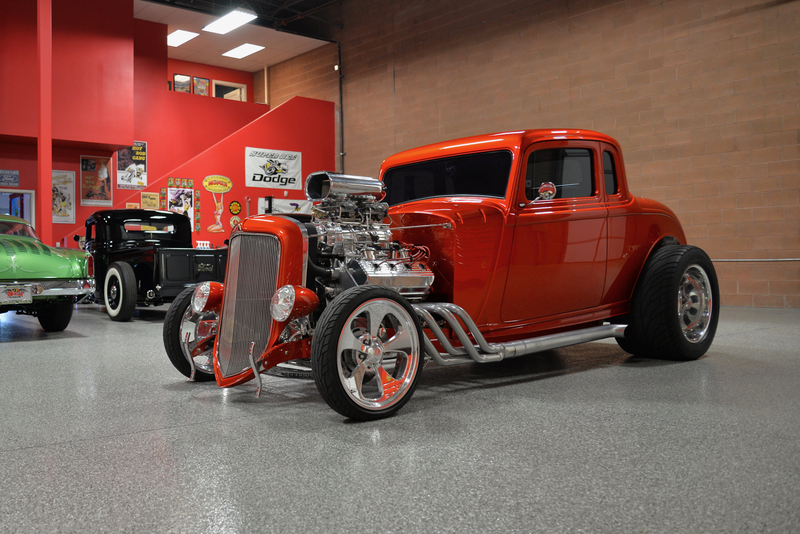 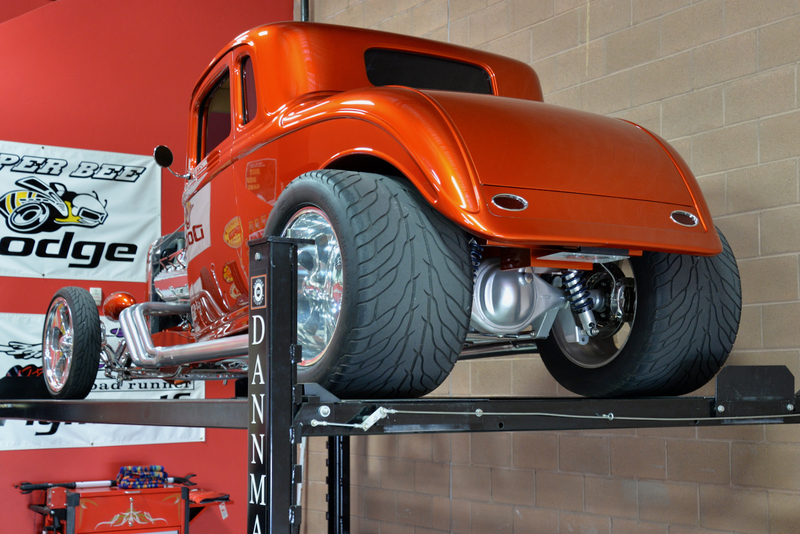 The body sits on fully customized 1934 Ford boxed rails featuring: handmade custom cross members, Pete & Jake’s front end, chrome 4” drop axle, CCI 4-link suspension in the rear w/ coil-overs, Wilwood disc brakes, and a Ford 9” rear-end w/ 3.73 gears. 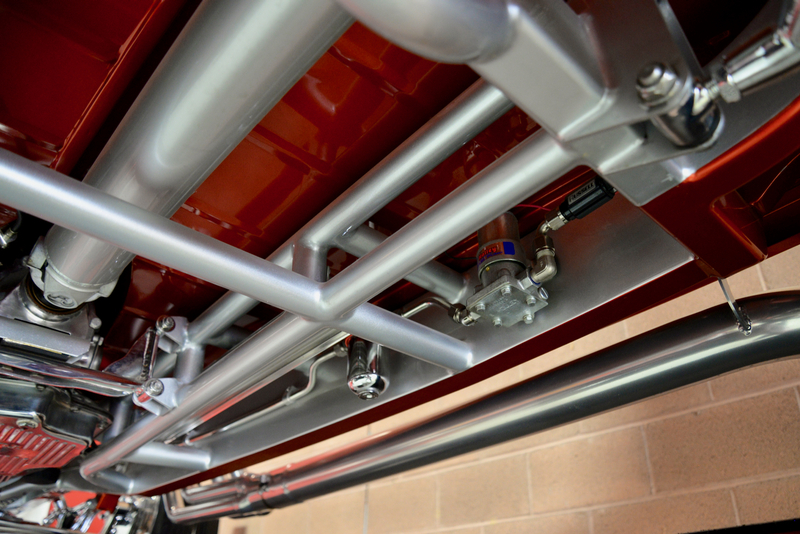 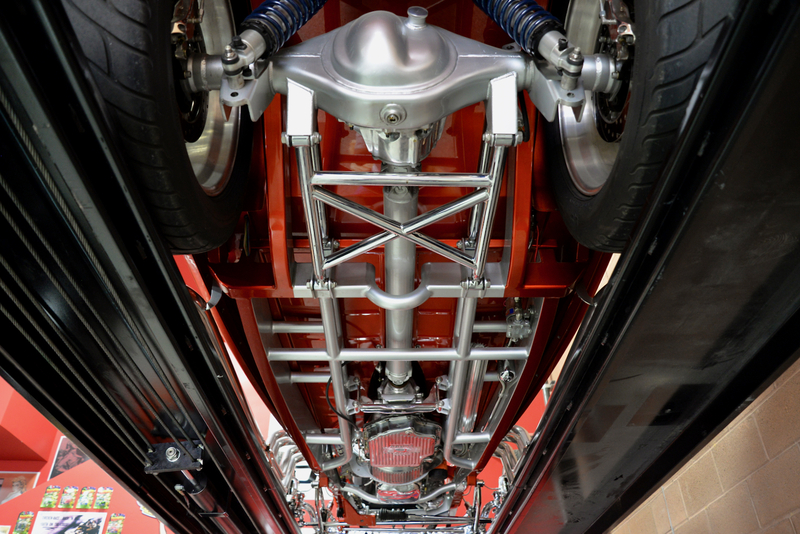 Please look closely at the undercarriage photos to see how beautifully everything was done. 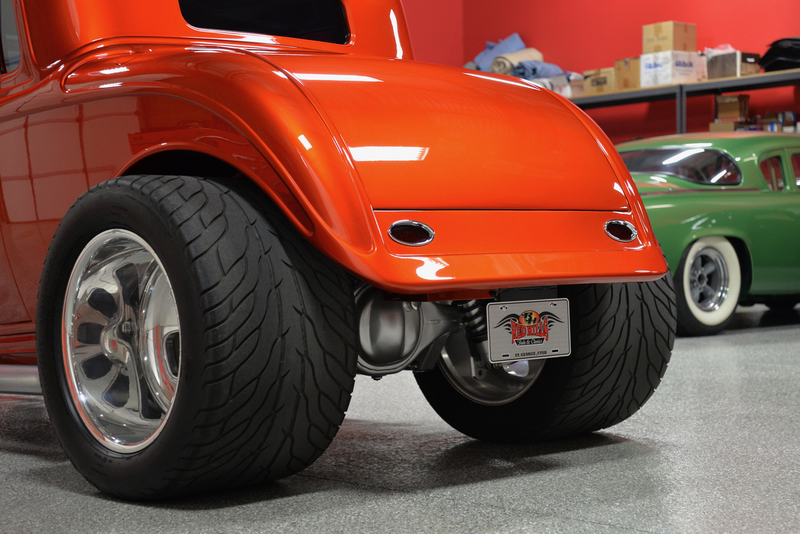 She has the perfect stance, sitting on Mickey Thompson wheels (20” on the rear & 18” up front) wrapped in Mickey Thompson Sportsman tires (33 x 22.00 R20LT on the rear & 24 x 5.00 R18LT up front). 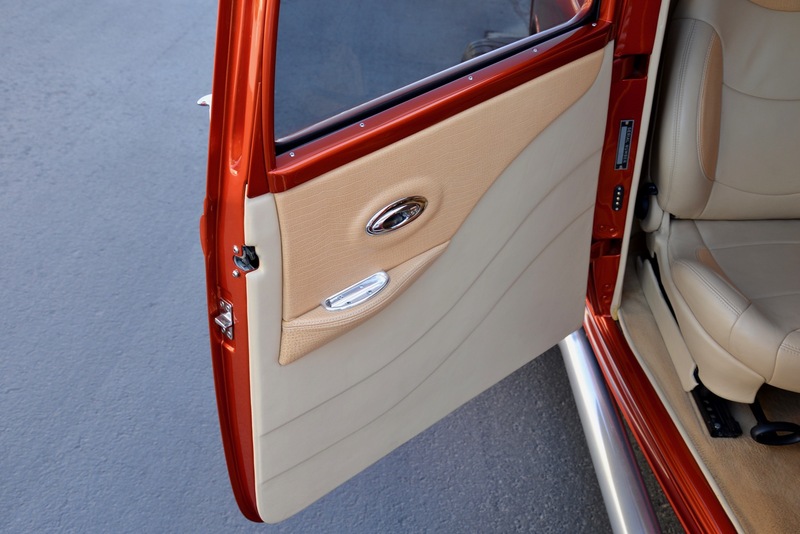 Pop open the suicide doors and you will find a gorgeous custom interior featuring: Mini-Cooper seats (fully adjustable) wrapped in rich tan leather w/ ostrich inserts, matching leather door panels w/ ostrich inserts, leather kick panels, leather roof liner, leather ostrich shifter boot, leather dash-pad, painted dash w/ full set of custom Classic Instruments gauges, chrome Flaming River tilt steering column, Flaming River steering wheel, Specialty power windows, power cowl vent, billet pedals, billet door handles, custom-built billet glove box door, 16” Lokar shifter, Watson’s StreetWorks door & trunk poppers, and a fully concealed custom sound-system (Rockwood Fosgate P400-4 amplifier, Pioneer receiver, Pioneer CD-MR80D in-dash control panel w/ remote control, Rockwood Fosgate Punch speakers, etc.). 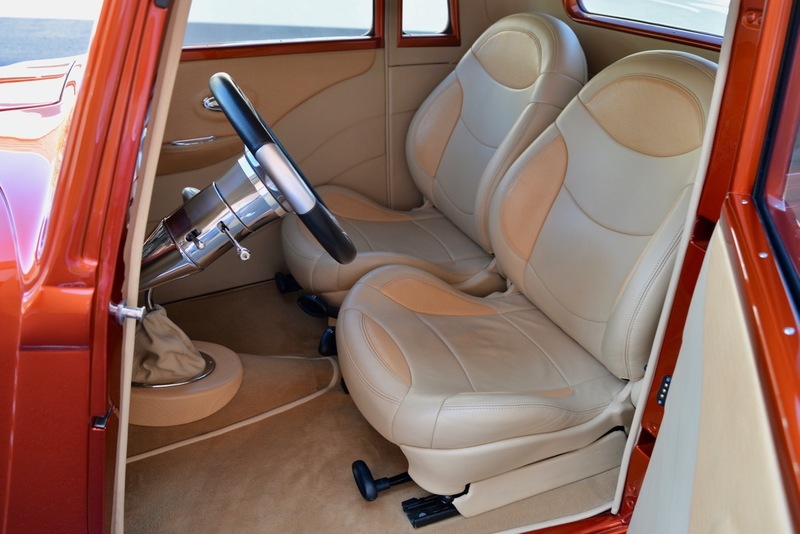 The fully adjustable seats allow you to fit comfortably no matter what your height or weight, w/ plenty of legroom to spare. 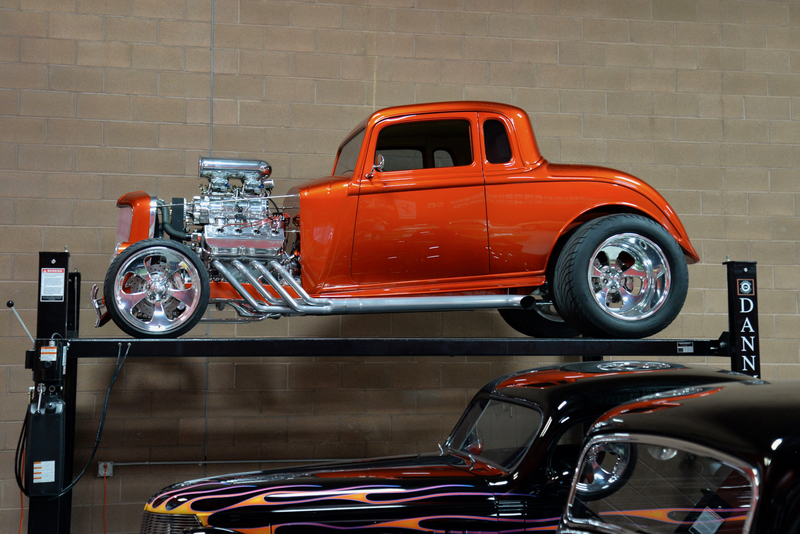 The roofline was not chopped which really allows plenty of headroom for taller folks. 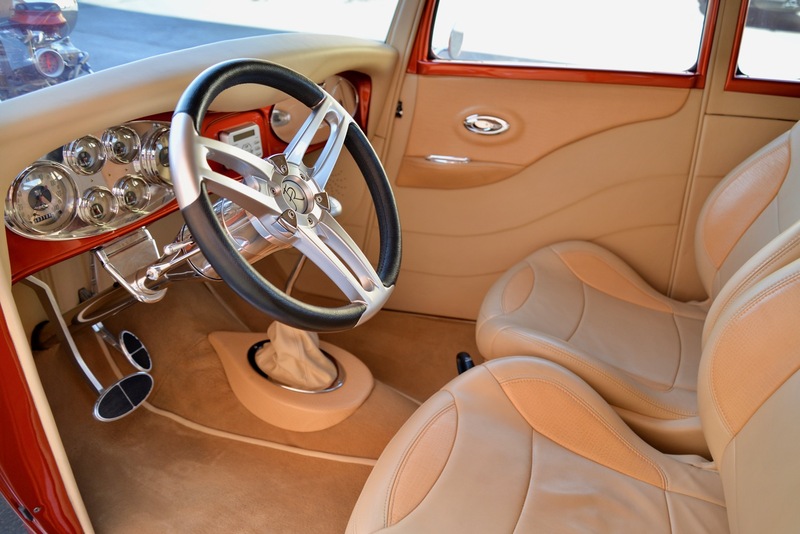 Crampy interiors always seems to be an issue w/ custom-built Hot Rods but I can safely say that this is one of the most accommodating Street Rods that I have ever driven. 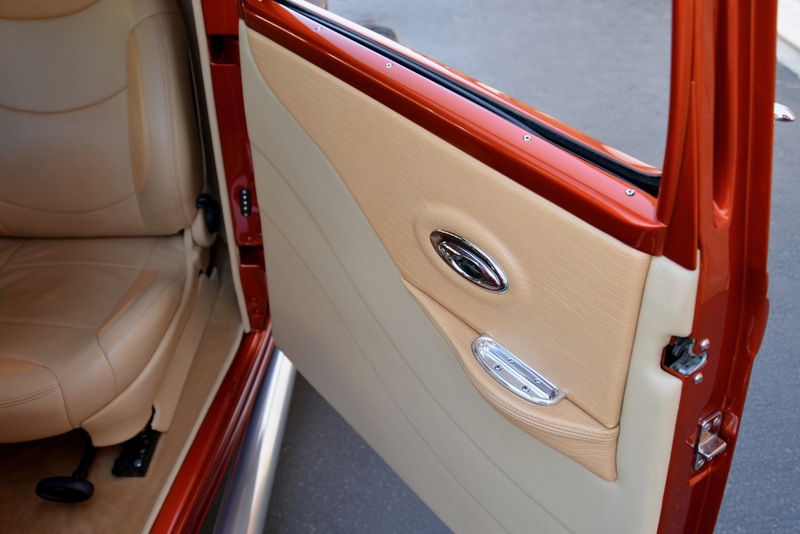 The trunk area is finished in matching tan leather throughout w/ fuel cell and easy access to the concealed battery. 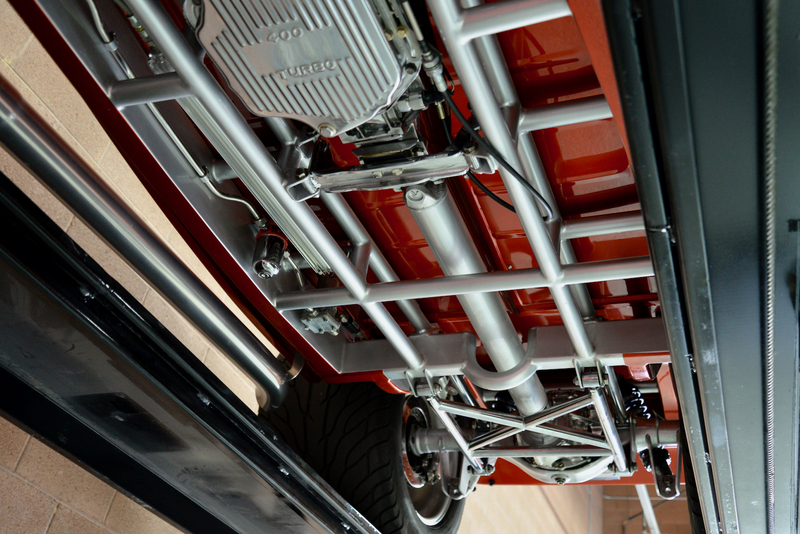 Now, let’s get to the heart of this masterpiece shall we? 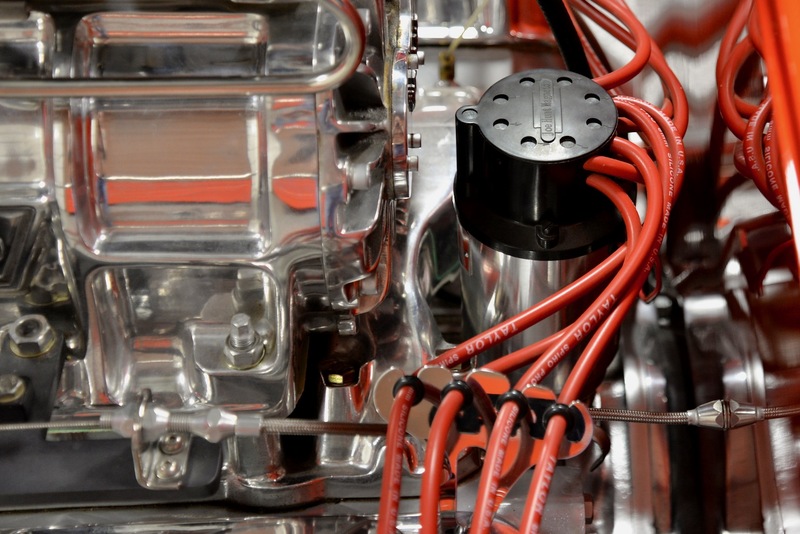 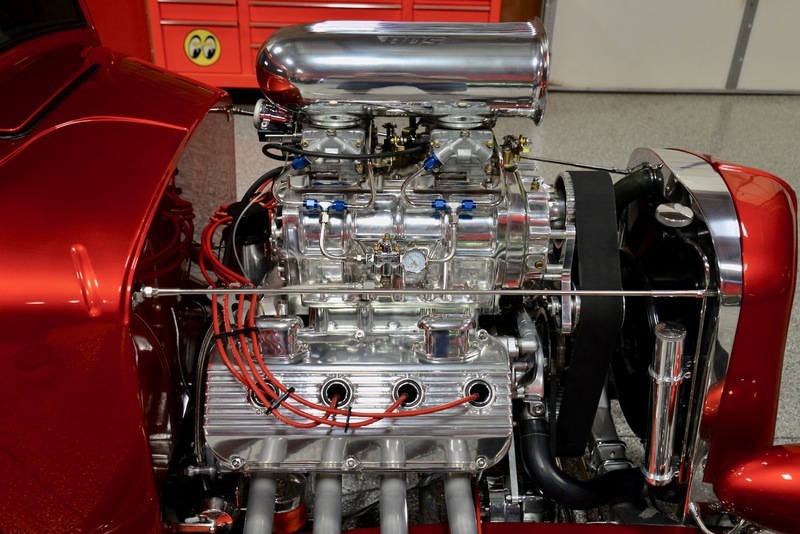 Up front you will find a custom-built 392ci Chrysler HEMI bored to 467 cubic-inches producing 700HP! 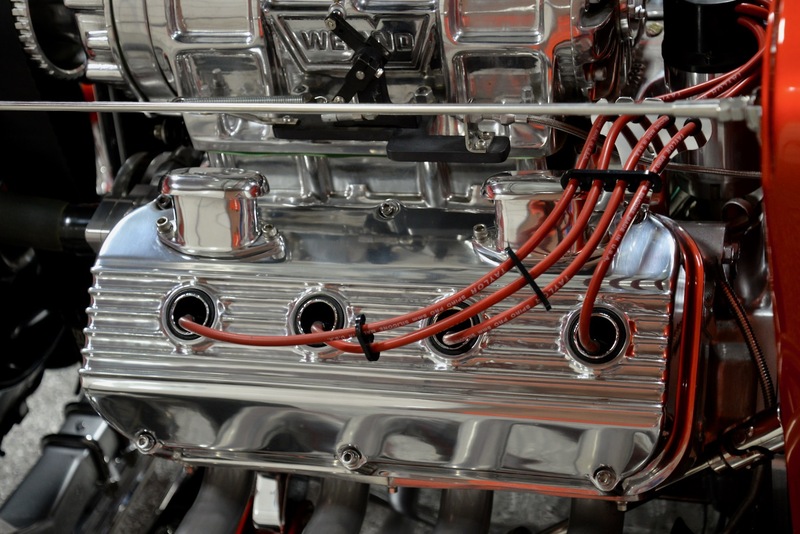 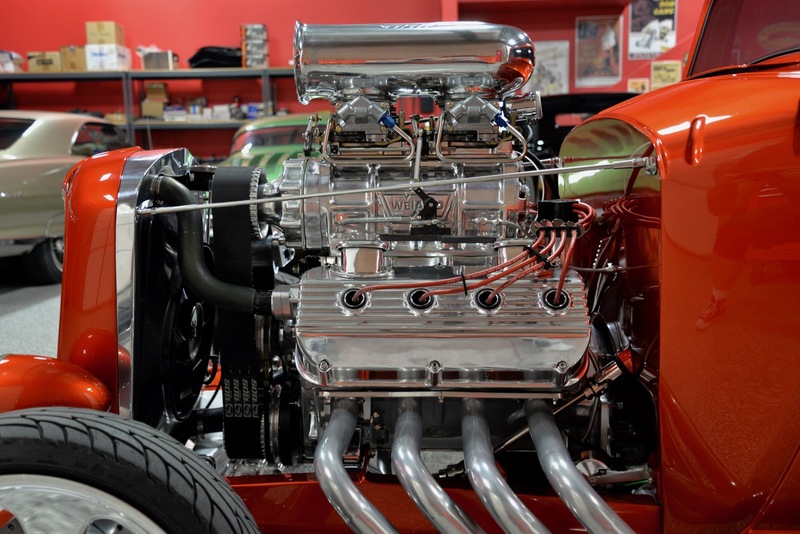 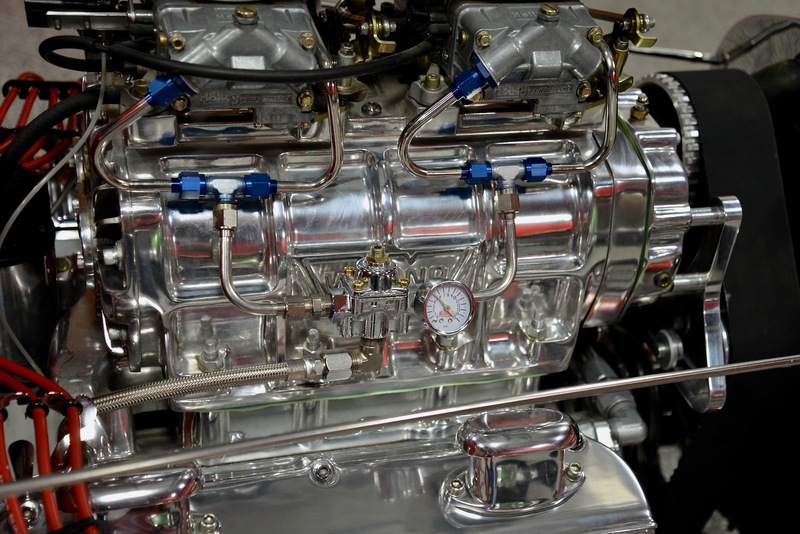 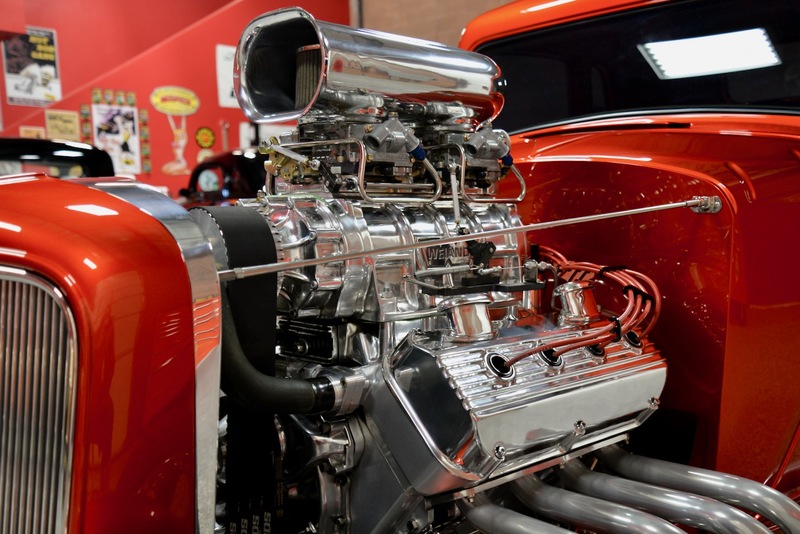 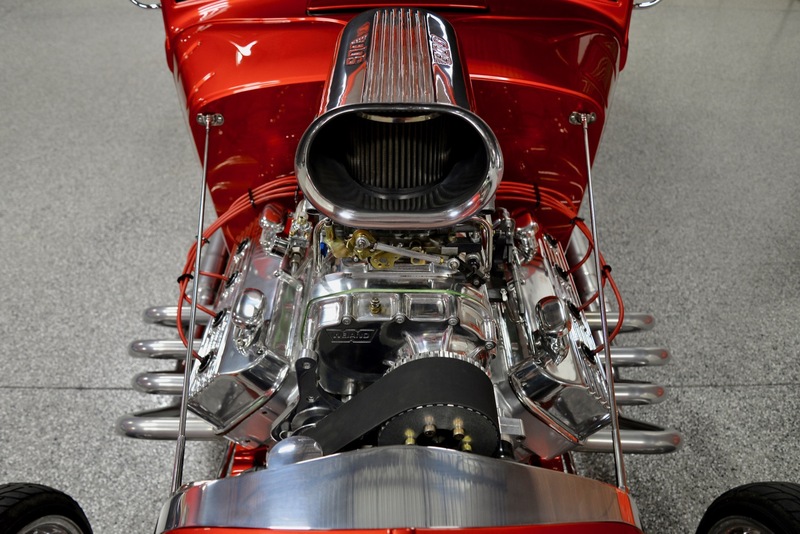 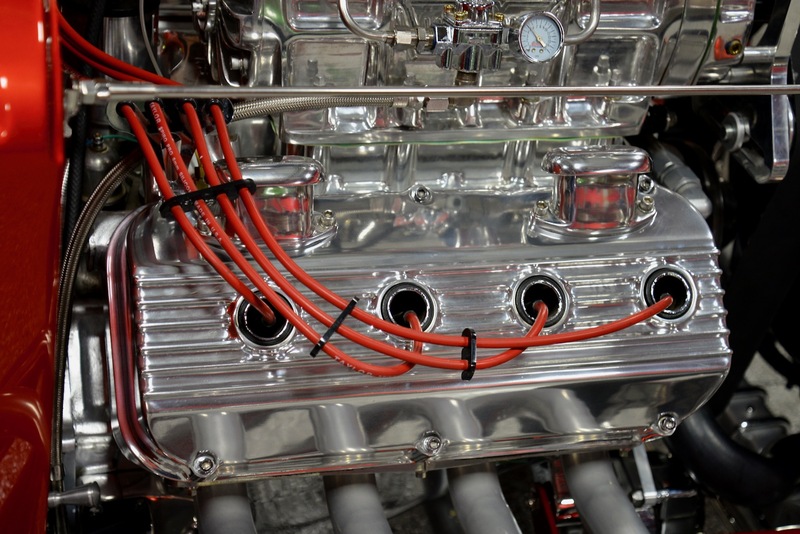 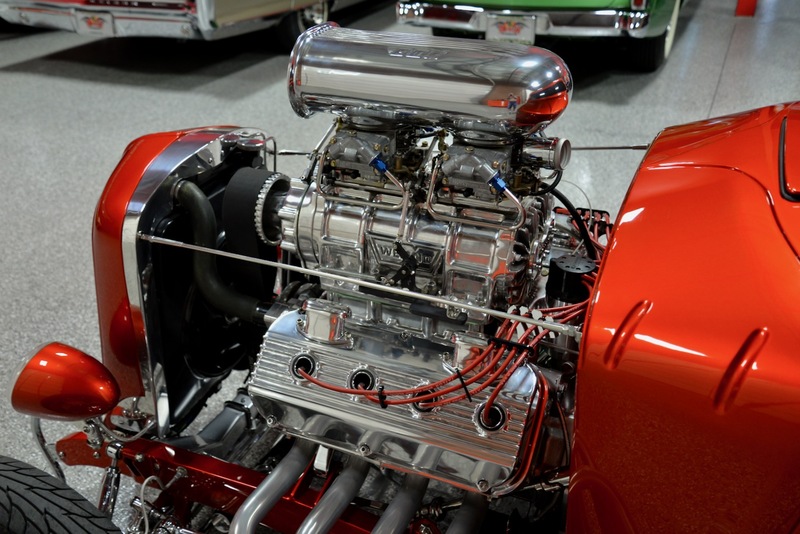 Features include: Weiand 6-71 blower, (2) Holley 750cfm carburetors, BDS billet scoop, Joe Hunt Magneto high-performance distributor, Sanderson street rod headers, custom-built radiator w/ Flex-A-Lite fan, braided & hard chrome lines throughout, etc. 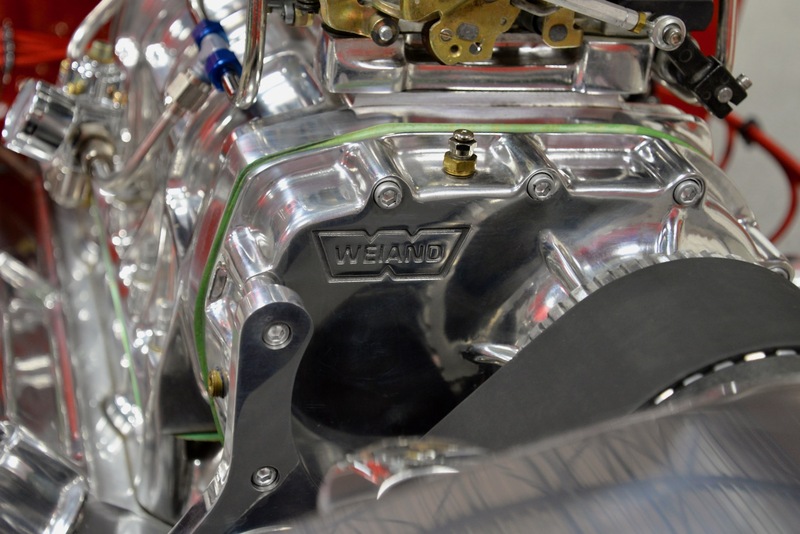 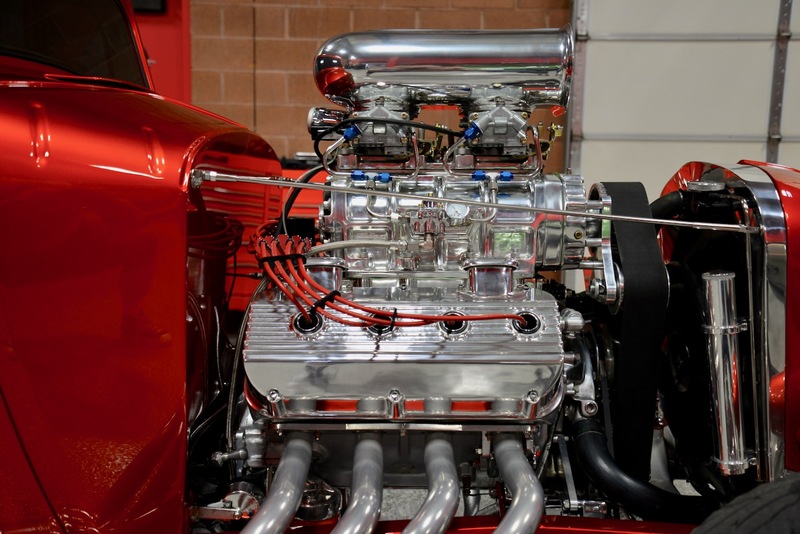 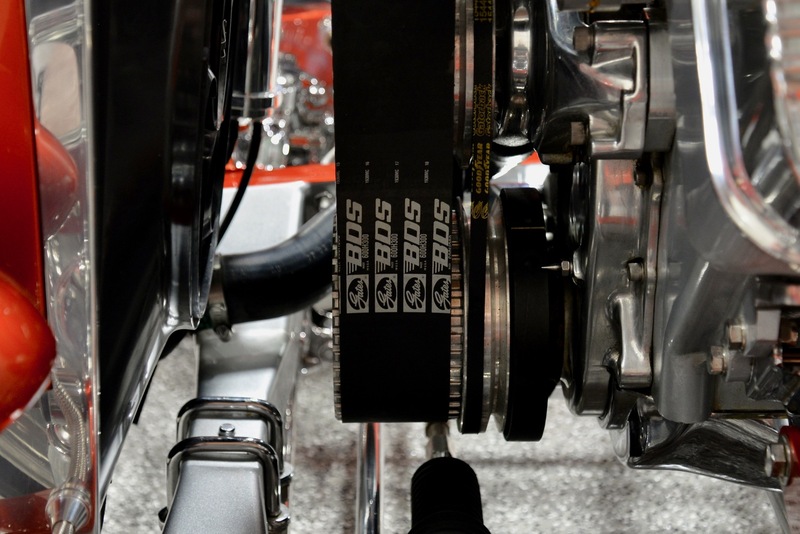 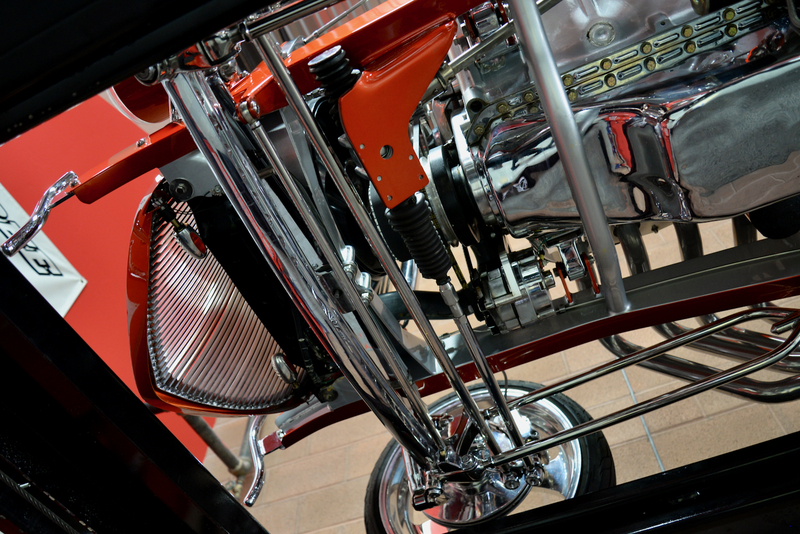 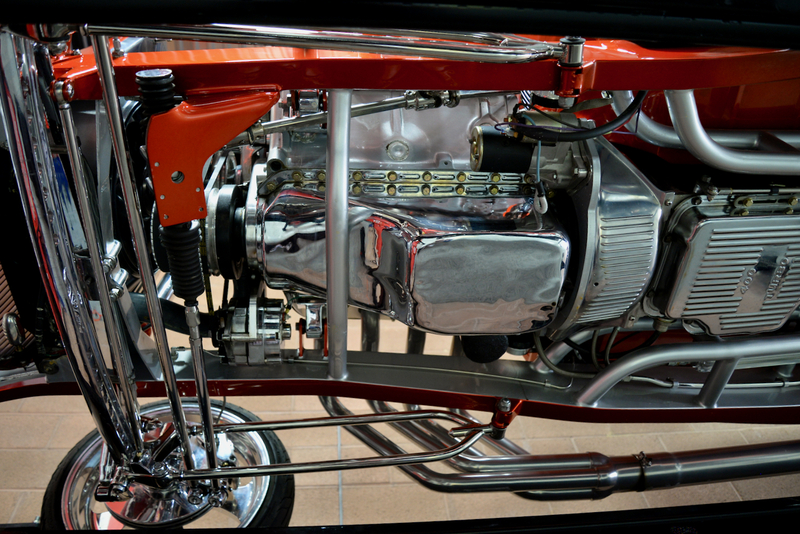 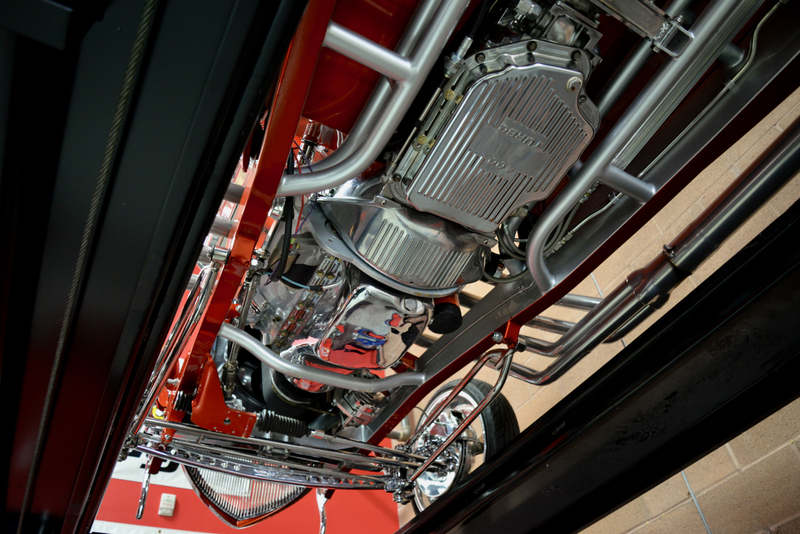 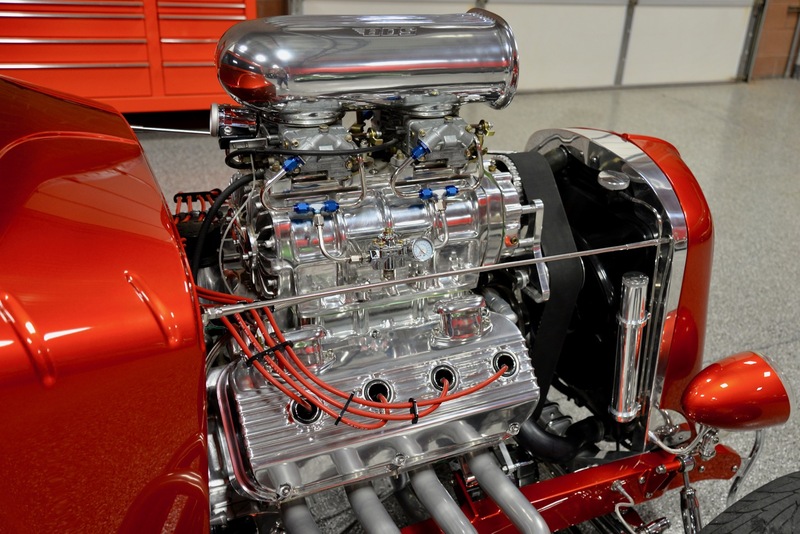 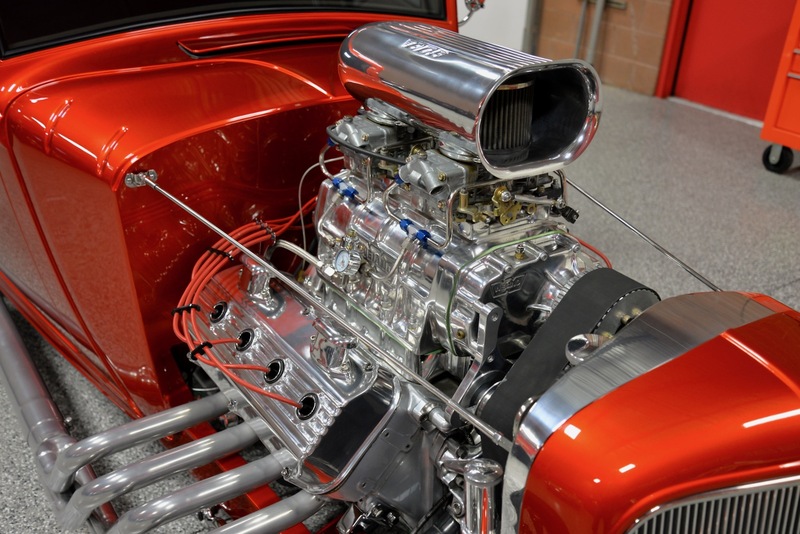 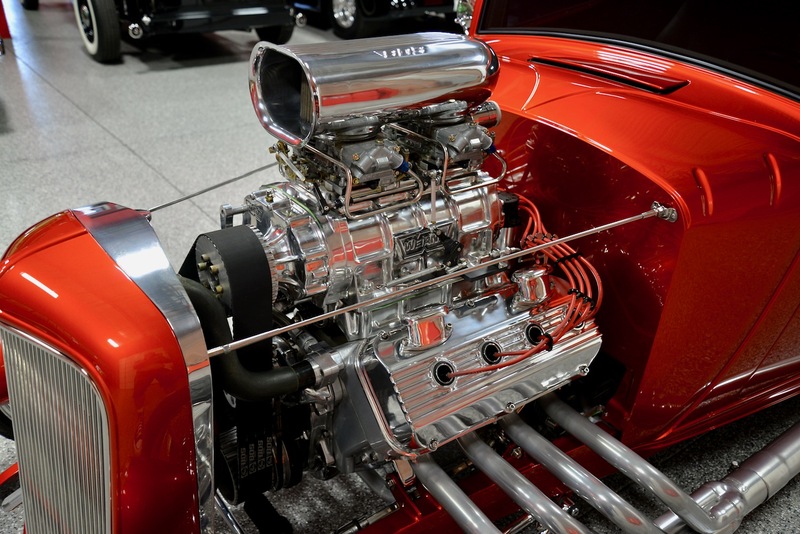 This visually stunning HEMI motor is linked to a built TH400 transmission which feeds power to an asphalt shredding Ford 9” rear-end w/ 3.73 gears. 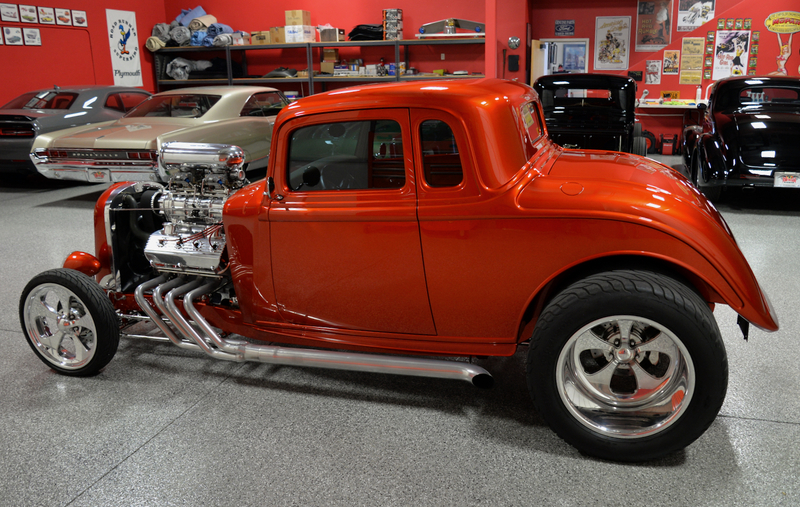 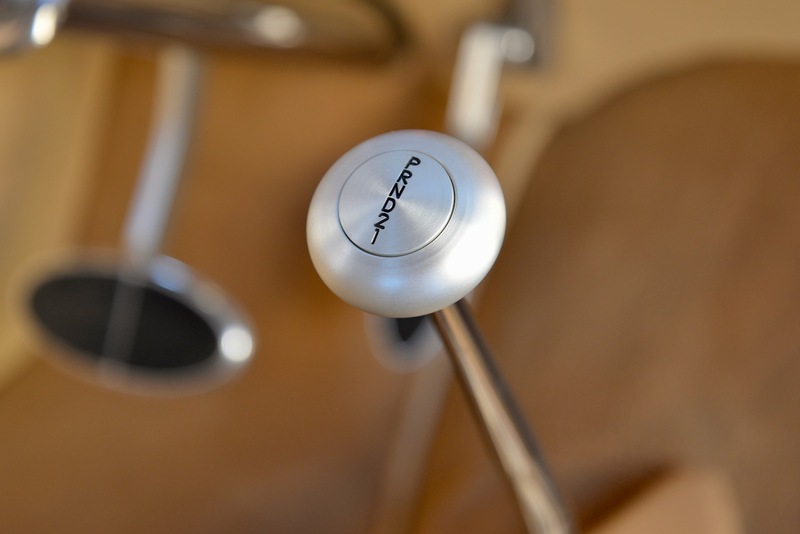 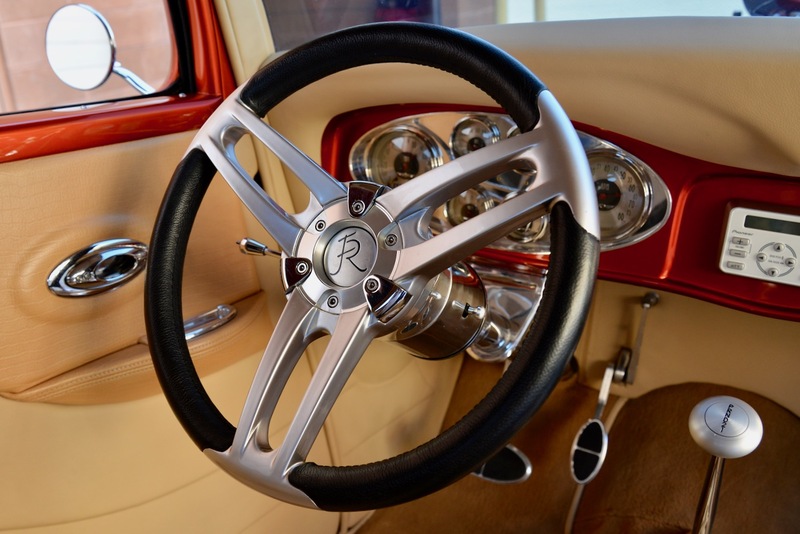 For such a radical motor, it is an extremely pleasant driving Hot Rod in every way. 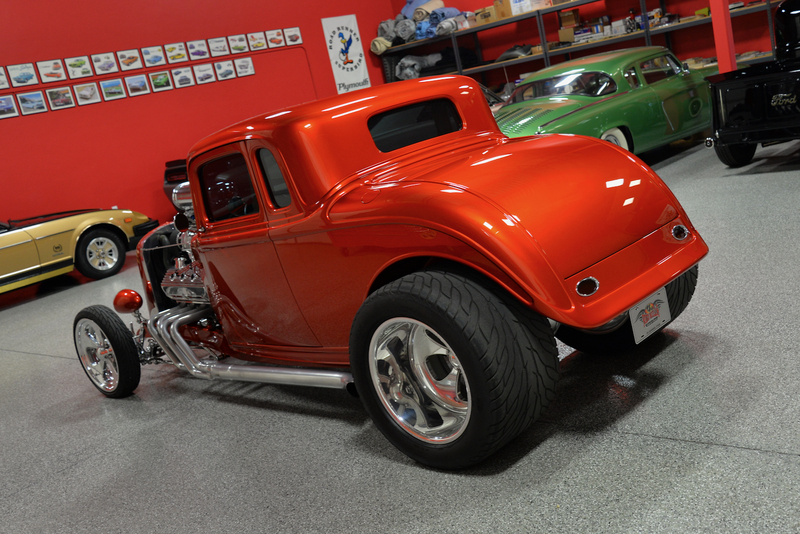 She fires up w/ a flick of the wrist and when it’s time to go, let me tell you, she GOES! 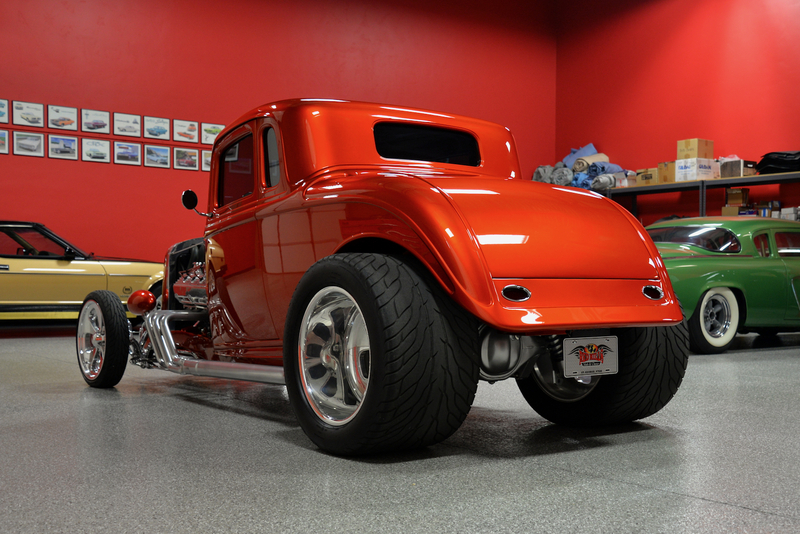 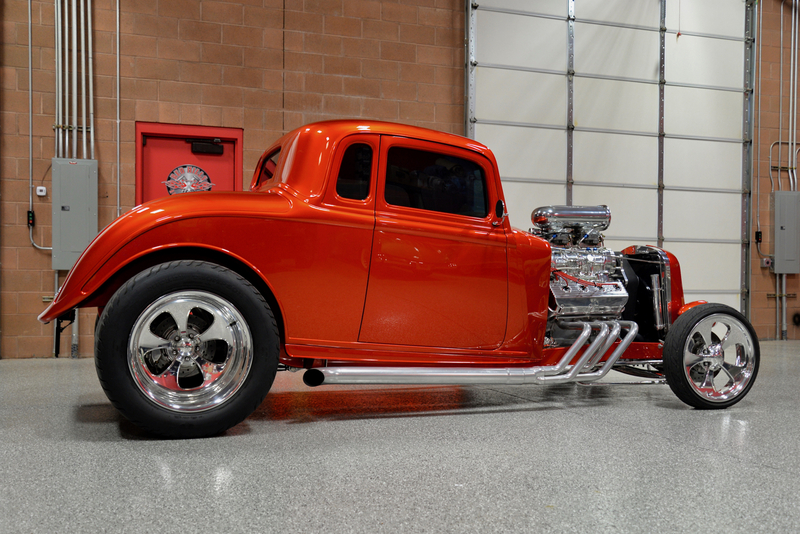 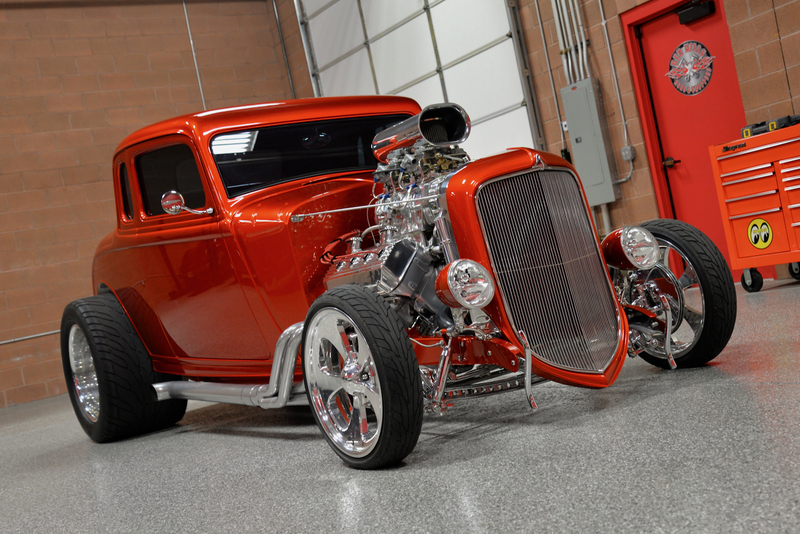 This ’34 Plymouth Blown Coupe is an absolute BLAST to drive and is very, VERY fast! 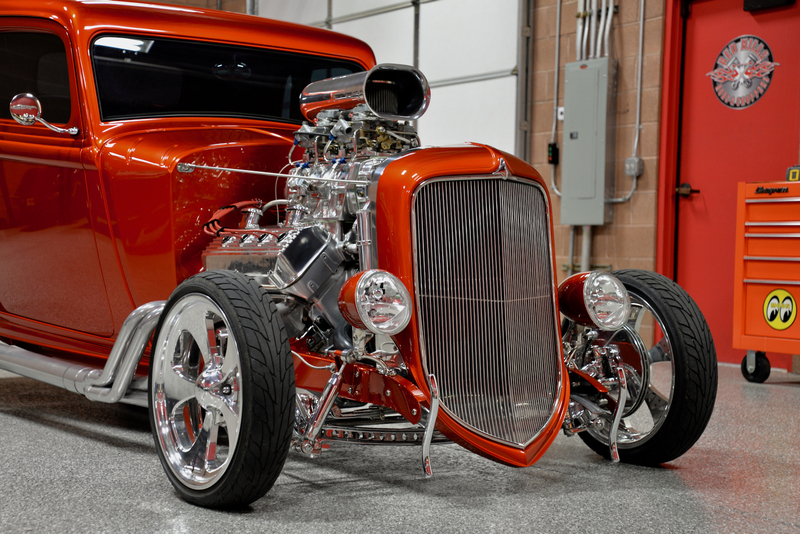 Wherever you decide to drive this gorgeous Hot Rod, there will be a huge crowd around you within minutes. 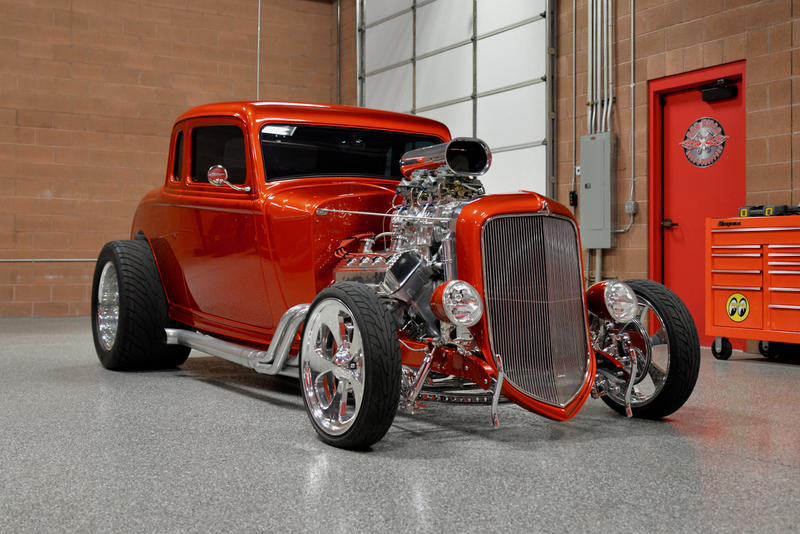 It is one of the most appealing Street Rod’s that you will ever see in your life, and is pure eye-candy in every way. 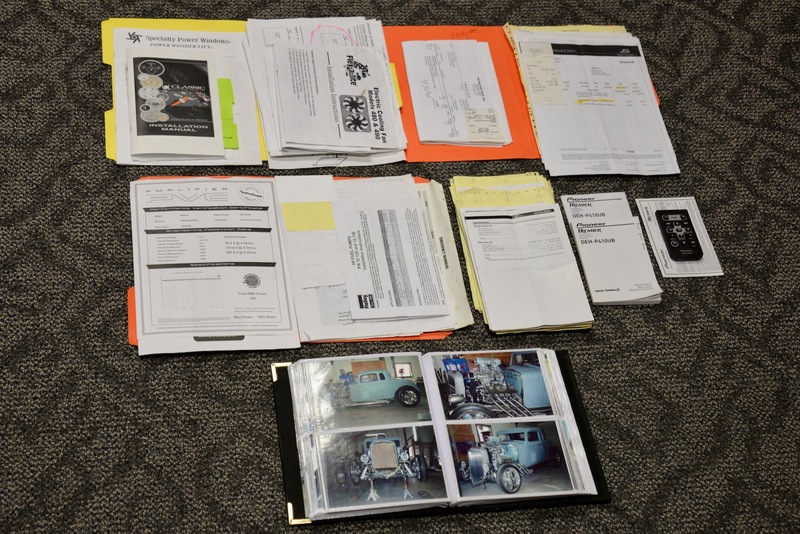 Documentation includes a photo album w/ a complete set of restoration photos, and several binders full of receipts & component manuals. 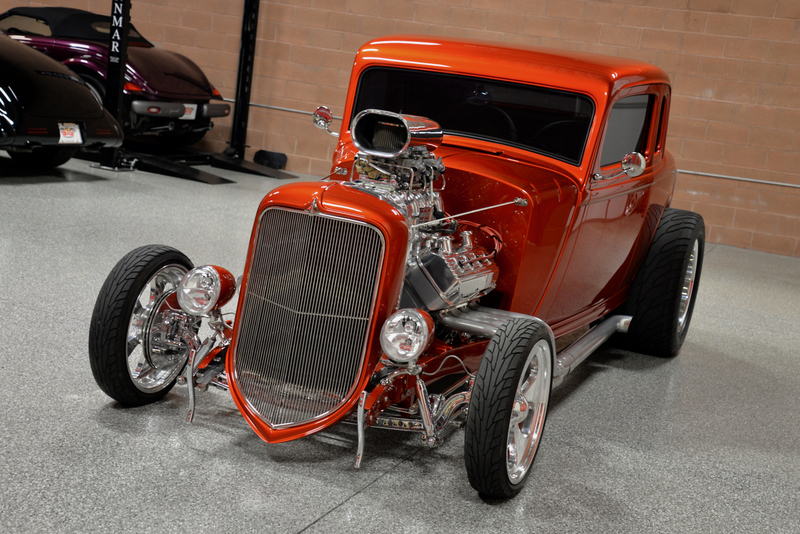 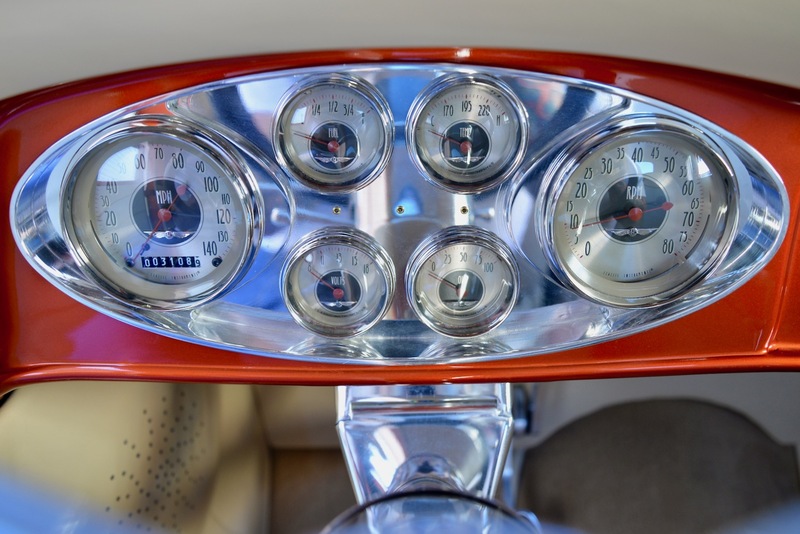 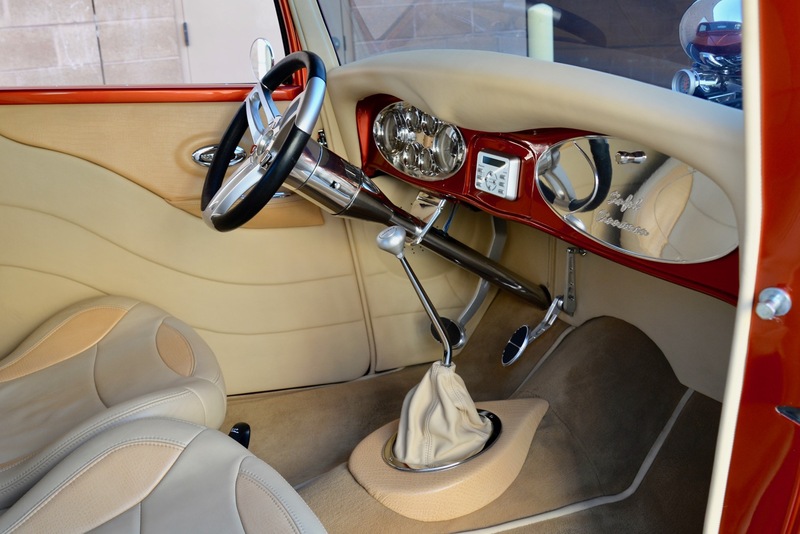 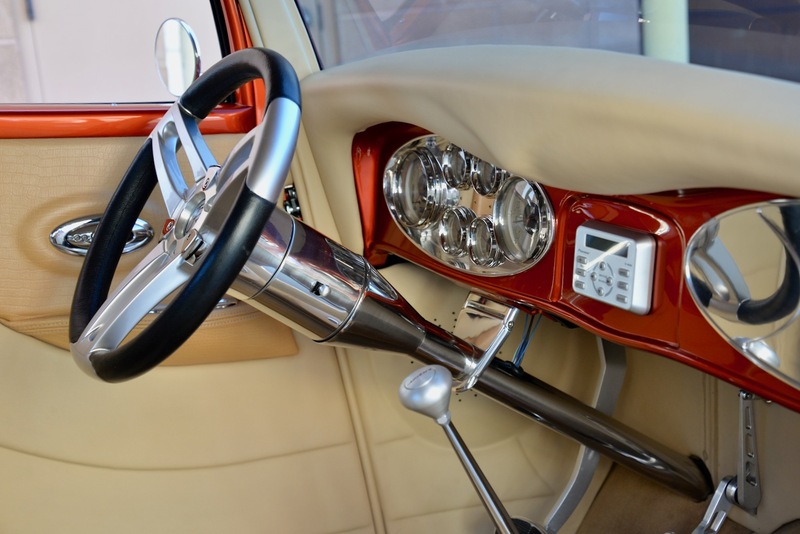 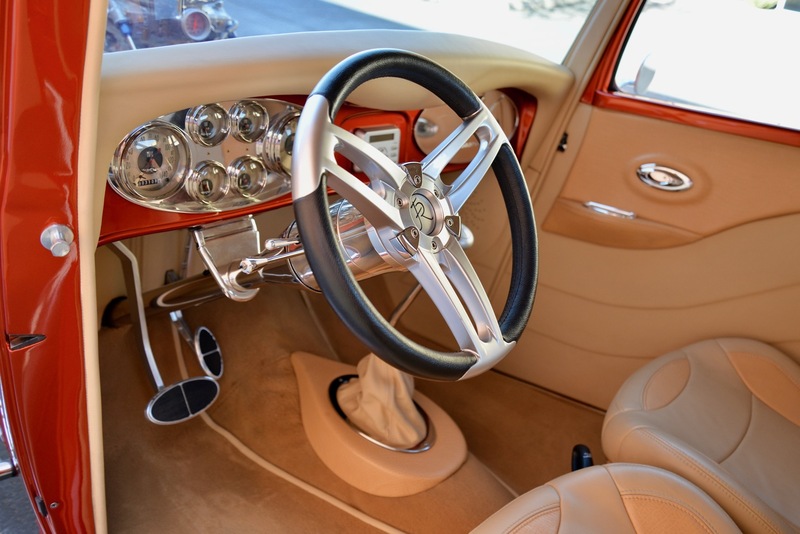 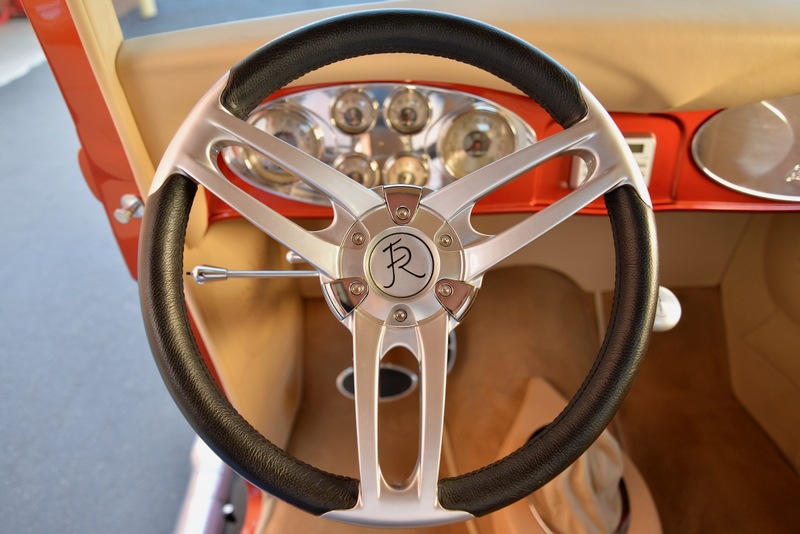 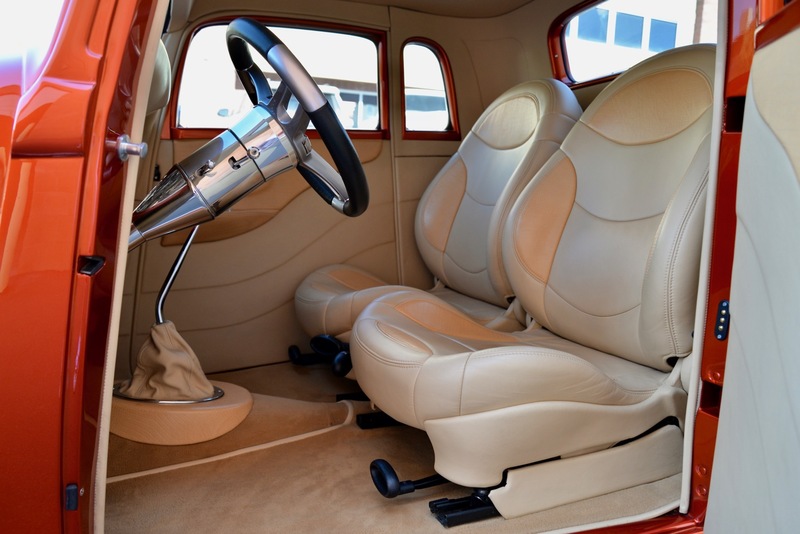 Again, if you are searching for a high-end one-of-a-kind Hot Rod that will separate you from all of the others out there, you have found your car!